Grant McSherry, New Zealand artist. Grant McSherry grew up in Hamilton, in the North Island’s Waikato region. He studied art throughout his schooling and began oil painting at the age of 16 . An annual family trip during winter to either Mt Taranaki / Egmont or to Mt Ruapehu at Tongariro National Park inspired Grant's fascination for mountains and alpine landscapes, which is evident in his oil paintings today. On completing his secondary education, Grant studied display and advertising at the Waikato Polytech in Hamilton, with a view to becoming a graphic designer. As things worked out, Grant took a job in the advertising department of the local daily newspaper in Hamilton, which led to an 18 - year career in the newspaper industry. In 1999, Grant left his position as general manager of the daily newspaper in Palmerston North and moved to Christchurch with his wife Michelle, for a change of lifestyle. Grant devoted time to his art again and was painting almost every day while also working full time. Then, in late in 2002, he and Michelle established nzoncanvas.com to produce quality art prints of Grant’s interpretations of New Zealand’s unique landscapes. Detailed originals by Grant McSherry are large format oil paintings on canvas or linen. He produces art prints of some of his paintings to make his work accessible to a wider group of people. All of his art prints are limited edition as Grant believes it is important to retain an element of rarity for the work and individuality for the buyer. He manages the print production process himself, working with the best local suppliers and expertise. Grant travels the country with a camera to provide the basis for his oil paintings. He finds and works with images that allow him to expresses his perception of the textures, colours and character of the parts of New Zealand that inspire him, both as an artist and as a proud Kiwi. 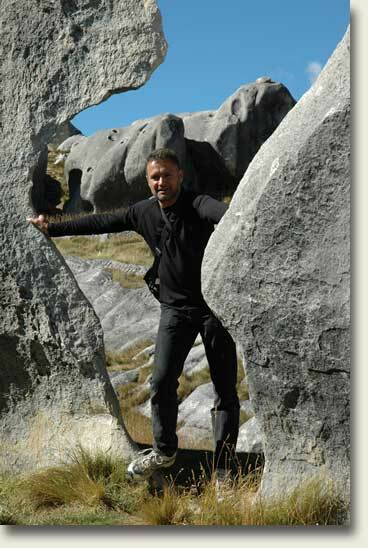 Grant strives to create an accurate 'sense of place' and to deliver New Zealand experiences through his work.